Americans owe more than $1 trillion in car loans, and we’re borrowing record-setting amounts to buy a car. That’s according to a new report from Experian Automotive, which tracks car loans across the U.S. 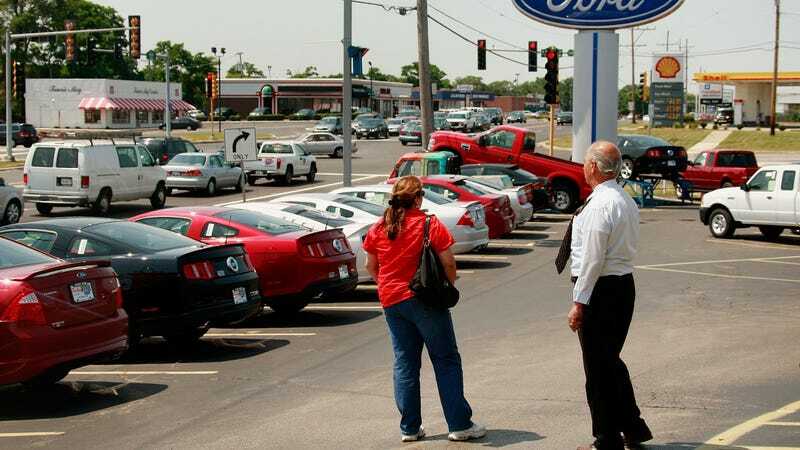 The reason, reports CNBC, is a combination of higher prices for new cars and relatively low rates for auto loans. The average amount borrowed grew to above $27,000 last quarter, a first. Lower car sales are expected this year because of the Federal Reserve’s likely move to raise interest rates. Even still, by taking out record amounts for a vehicle, we’re almost certainly going to keep increasing that $1 trillion pot of collective car loan debt. Wahoo.